Dr. Keith Jennings is a senior associate and the regional director for Southern and East Africa for NDI. Over the past 15 years, he has represented NDI in 30 countries, working on a range of governance, civil society, political party and elections programs. He is a democratic development and human rights specialist. Dr. Jennings has managed several of NDI’s largest programs having served as the Institute’s country director in Indonesia, Liberia, Mozambique, Nigeria, the Philippines, South Africa and Zambia. Throughout those assignments, Dr. Jennings worked closely and collaboratively with a host of development partners, particularly the United States Agency for International Development, the Development Fund for International Development, the United Nations Development Program and the National Endowment for Democracy. Dr. Jennings is also a former director of NDI’s citizens participation program. He served for five years as part of the NDI strategy and evaluation team serving as the Institute’s principal in-house global expert on programs to strengthen the participation of civil society organizations and citizens in the political process. He has also served as a senior advisor for Africa and Latin American and Caribbean programs, focusing on political participation challenges of marginalized groups in Guyana, Haiti, Jamaica, Lesotho, Suriname and Swaziland. 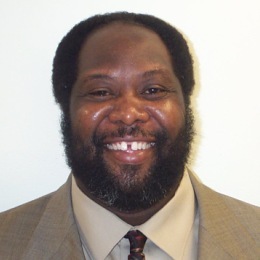 Prior to joining NDI, Dr. Jennings worked with the World Council of Churches, the NAACP and Amnesty International. He has also been a consultant with the United Nations Development Programme and the Children’s Defense Fund. Dr. Jennings has been an adjunct professor at American University, Clark Atlanta University and Morehouse School of Medicine teaching courses on U.S. foreign policy, world politics, comparative politics and health, and human rights. Dr. Jennings is the author of numerous popular and scholarly articles on a range of human rights and democratic development subjects. He has also been a frequent media commentator on foreign affairs. Dr. Jennings is the 2005 co-recipient of the Interfaith Alliance’s prestigious Walter Cronkite Faith and Freedom Award.